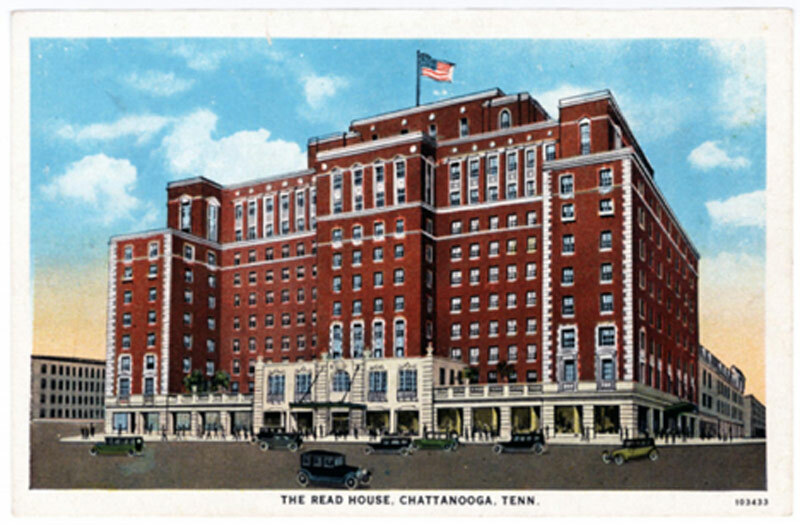 CHATTANOOGA, TN (November 1, 2017) – The historic Read House hotel located in Chattanooga, Tennessee is set to commence a $25 million rebirth and renovation in November 2017. The phased renovation will allow the hotel to retain its status as the longest continuously operating hotel in the South. The Read House opened its doors in 1872 and has always welcomed guests every day since then. The first phase of the renovation will focus on the historic Read House building while the Manor building, added in 1962, will remain open. “We are excited to get started on this long overdue revival of one of Chattanooga’s most well-known structures,” said Jonathan Weitz, owner of Avocet Hospitality Group, which purchased the hotel in August of 2016. “Everyone in Chattanooga has fond memories or a compelling story to tell when The Read House was the place to see and been seen. Our plan is to restore the hotel to its former greatness and bring back the feeling of the Roaring 20’s with its opulence and grandeur. We want the people of Chattanooga to once again be proud of the hotel that has played such a large part in the history of the city,” continued Weitz. The first phase of the renovation is slated to be complete by July or August of 2018. Avocet Hospitality Group plans to completely start over with the guestrooms. “We are removing everything from the guestroom floors and starting over. We could not provide the required guest experience using the current room configuration. Our guests deserve spacious modern bathrooms, the latest in technology, and new furnishings,” said Weitz. In addition to the guestrooms, all the public areas will be renovated and restored to their former greatness. Experts in plaster repair and skilled artisans are being retained to completely restore all the architectural and artistic details of famous The Silver Ballroom and the grand lobby ceiling. The Russian Walnut paneling in the lobby will be completely restored and re-varnished. The renovation will bring back elements of the original hotel built in 1872 – including a lobby bar, a billiards room, and a library. In addition, a new restaurant will be built in the space currently occupied by Porter’s Steakhouse. The concept for the new restaurant is in development, and Avocet Hospitality will announce plans for this reimagined space as they emerge. The Green Room will return to the hotel as a meeting space. In preparation for the renovation, Porter’s Restaurant will close after dinner service on Saturday November 11, 2017. The historic portion of The Read House will close on Monday November 13th. Guest staying in the Manor Building will continue to arrive in the valet parking area located on Broad Street. Given that the hotel consists of two separate buildings, guests staying in the Manor Building will not be impacted by the renovation. The recently renovated Starbucks located on Broad Street will also remain open during the renovation.